Preventing Metastasis: A New Use for Existing Drugs? In 2015, the drug palbociclib (Ibrance) became the first in a new class of drugs–CDK 4/6 inhibitors–to receive approval from the Food and Drug Administration (FDA) as a treatment for postmenopausal women with hormone receptor-positive metastatic breast cancer. A research group at the Mayo Clinic says it has found that CDK 4/6 inhibitors may also work to prevent metastasis in triple negative breast cancer. When used in models of triple negative breast cancer, this type of drug actually had the effect of preventing the spread of the cancer to distant organs. This was the case even though the drug did not cause tumors to shrink (the usual standard for a new cancer drug.) The drug targets a protein called SNAIL, which plays an important role in metastasis. More research is needed to determine the effectiveness of these drugs for this possible new use. The study was published in the journal Nature Communications. Many of us who’ve been treated for cancer are familiar with the imaging test known as the PET scan. This test is used to determine whether cancer cells have spread from their original site to other locations in the body. This information is then used in determining treatment plans. The PET scan has been around for twenty or so years. Now, imaging technology has advanced to where there are some exciting new possibilities for the use of related technologies in the care of cancer patients, according to a study published in the journal JAMA Oncology. Beyond just identifying where there are cancer cells, the newer techniques, collectively referred to as “molecular imaging,” can identify key molecular features of cancer cells. For example, for breast cancer patients, molecular imaging can identify whether the cells are estrogen receptor-positive or HER2-positive. The scans could potentially be used as a noninvasive way to monitor ongoing treatment for effectiveness and to make adjustments as necessary. In a report on the study, Science Daily notes that some of these techniques are being tested in ongoing clinical trials. A study of women who had been recently diagnosed with breast cancer and had a family history of breast cancer found that, while 8 in 10 wanted genetic testing, only about half actually received it. Based on a survey of the women, not receiving testing was most often attributed to their doctors not recommending the testing and, less frequently, to the cost of the testing. For women at high risk for the BRCA mutation who have already been diagnosed with breast cancer, learning about their BRCA mutation status could affect treatment choices and may identify whether they are at increased risk for other cancers, in particular ovarian cancer. It may also be important information for their immediate relatives so that they can understand their risk. The irony is, even with all the attention given to the promise of genetic testing, the fact is it’s not happening as routinely as it should, especially given our increasing attention to quality medical care and the use of health information technology to improve the care doctors offer and consumers receive. More of the details and additional comments from experts are included in a report on the study in the Washington Post and also a report in NPR. Precision Medicine: Which Cancers Respond to Immunotherapy? Immunotherapy treatments, in particular “checkpoint” inhibitors which “release the brakes” on the immune system, are having remarkable benefits for some patients with melanoma, lung cancer, and other cancers. Unfortunately, checkpoint inhibitors typically benefit less than half of patients receiving them. One of the biggest issues with these drugs is finding out why they don’t work in many cases and whether there is a way to increase their effectiveness for more patients. A recent study published in the AACR’s journal Cancer Discovery has found that when patients have a mutation in the JAK1 gene, they do not benefit from the checkpoint inhibitor pembrolizumab (Keytruda)–even when other characteristics of their tumor cells suggest they would benefit. Works continues on identifying possible treatment combinations involving immunotherapy that would be more effective for patients who have this mutation. For background on why immunotherapy doesn’t work for everyone and what researchers are doing about it is, see “Why Does Immunotherapy Not Benefit Everyone Long-term?” in the AACR Cancer Research Catalyst Blog. A major new study examining trends and patterns of disparities in cancer mortality over the last 35 years has produced some striking findings. Cancer deaths by unit of population have declined moderately overall between 1980 and 2014. But when looked at by geographic area, which tends to correspond roughly with socioeonomic status, mortality rates differ substantially. These different outcomes are believed to reflect differences in access to screening, timeliness of follow-up when a problem arises and access to treatment. So-called lifestyle factors such as smoking and obesity also play a role. More of the details of the study, as well as what experts say needs to be done in response, are discussed in an informative article by Diane Mapes in Fred Hutch News. « A New Year: Where Do We Go From Here? I’m taking part in the 3rd phase of a trial to see whether Ibrance can reduce the risk of future recurrence in Stage 2 and Stage 3 cancer patients. If the trial is successful and FDA approves, it would be prescribed in conjunction with tamoxifen, for example. I’ll update you as I learn more! Thanks for sharing about your participation in this clinical trial, which sounds very interesting! Please do let me know how it goes, and I wish you all the best with trial! All very interesting. I was especially intrigued by the study suggesting genetic testing is not being offered as often as it should be to women diagnosed with breast cancer and who also have a family history of breast cancer. Unacceptable. 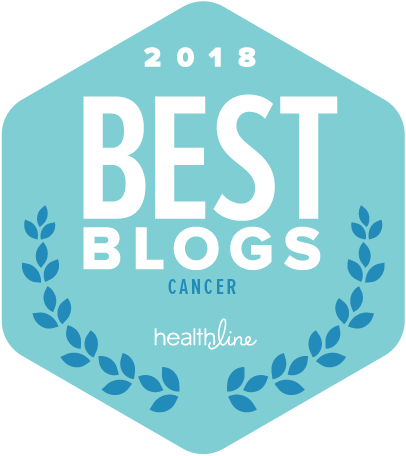 I actually believe genetic testing for BRCA should be an option for any woman diagnosed, as sometimes there are not red flags indicating a hereditary pattern. I was also very intrigued by a study on cancer treatment accelerating the aging process. I wrote about that one on my blog. And the last study you mentioned above is troubling and even more so as we contemplate what might happen now with the repeal of the ACA. Another good roundup, Lisa. Thank you. Thanks for your thoughtful comments. Some of the recent studies are definitely attention-grabbing in the sense of suggesting that we need to do much better–whether it means making sure genetic testing is offered when appropriate or ensuring that screening and follow-up care as needed is available and accessible for everyone regardless of geographic or other variables. Thanks for mentioning the study on cancer treatment accelerating the aging process. Your post on that is very interesting (I’ve had some catching up to do! ), and this is an area that seems to warrant more study for sure.